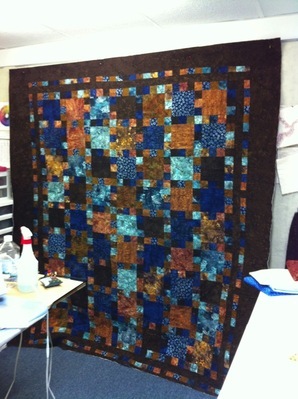 This is the quilt I made for a favorite uncle. 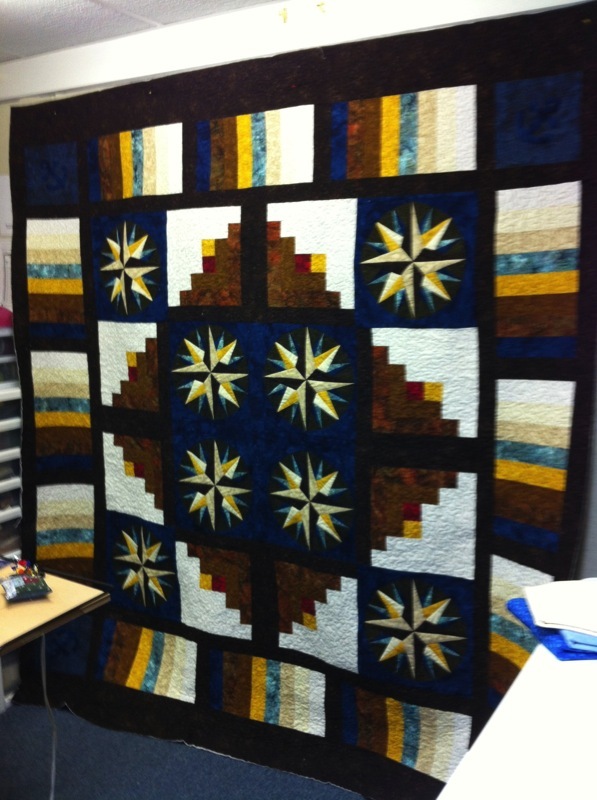 I finally got it quilted and it was gifted and received this morning and he loved it! The last picture is the back of the quilt. I have to admit that I am thrilled that it is finally finished and out of the house! haha Thanks for looking! Haha. I wanted it out of the house because it meant that it was finally finished. I normally just do one quilt top but this was a very special uncle. 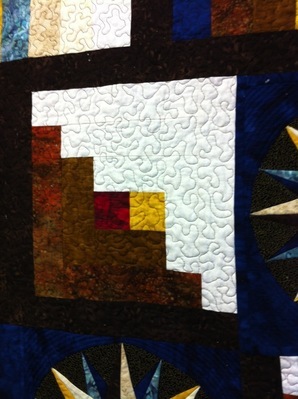 This way, he got 2 quilts in one and can change the look if he gets bored with one. And yes, I do my own quilting. Still having major back problems and quilting this really played havoc on my back! With the thanks I got for this, it was definitely worth it. Absolutely stunning. 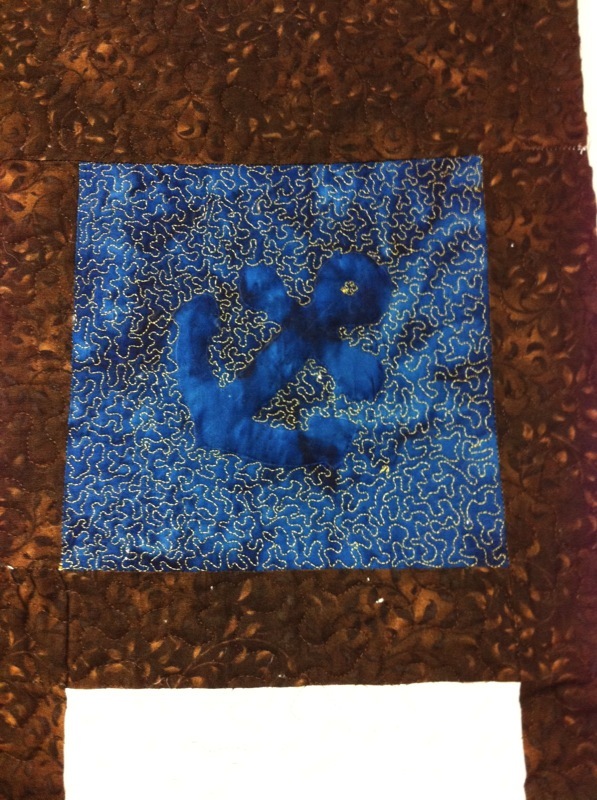 2 quilts in one. The hours that must have gone into that. Thank you cuties for all of your kind comments! The New Year is almost here so I am hoping you all have a wonderful New Year! Absolutely gorgeous. The back is almost beautiful as the front. Beautiful gift, I can see why he loved it. It is beautiful and your Mariner's Compass blocks are very well made. A work of art. Absolutely gorgeous. You did a wonderful job. I love the way you did the back. He will cherish this for ever!. Gorgeous...he is very lucky, indeed! this quilt is beautiful, he will surely enjoy it. It looks fabulous. I never tried this size, it must have taken a lot of time. Great work! Wow! 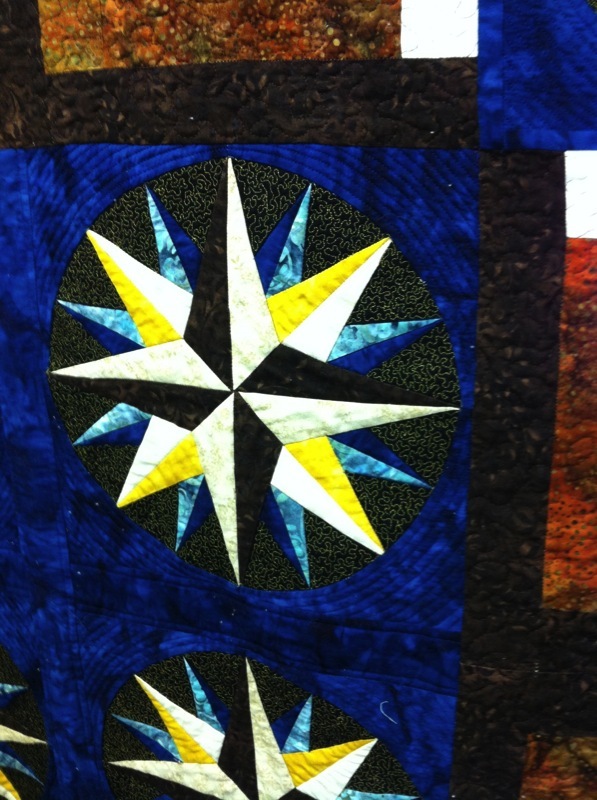 That is a lot of love stitched into this beautiful quilt. Kudos to you for getting it finished. He's very lucky. You made a beautiful quilt. That is beautiful. The best gifts are the ones made with love.